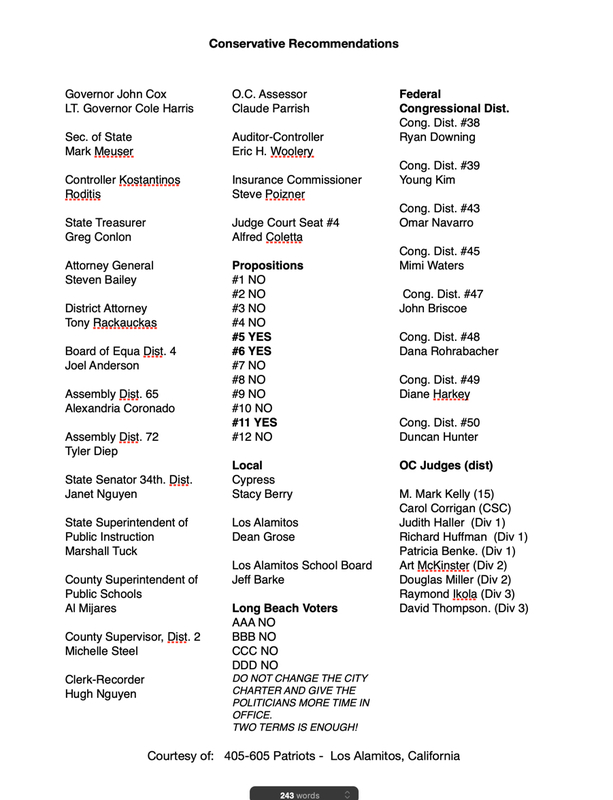 We are attaching our latest list of voting recommendations, including Orange County Judges. This is a jpeg file, so you can download it as a photo and print to your liking. Best Selling Author Larry Schweikart returns this month to present his case on the lies that the Liberal/Leftist/Democrats are using to maintain their course of changing this nation into another third world country. Their tempo has picked up with attacks on President Trump and anybody who works for him. They wage their warfare at every opportunity - even formal dinners. Starting off 2018 with an Exciting Event! This year promises to be a dynamic year in politics, because some liberals are waking up to the effects of the mismanagement by the Democrats. High taxes, overcrowding, homelessness, high costs of education and the state debt (over $400 billion!) are finally being recognized by some of the party faithful. Conservative Californians can seize upon this opportunity of change. 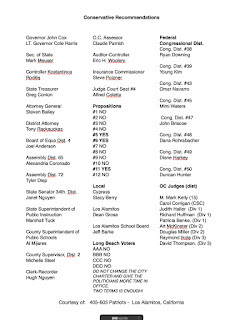 Join us as the new election season starts! And, one of our favorite speakers returns - his back is better!